back to the Romans in the 1st century. It is thought the ampersand symbol evolved from usage of the Latin word ‘ET’ or ‘ET AL’ meaning ‘AND’ or ‘ALSO’ which became truncated over time to form the one symbol. It is not clear if the Latin version of the ampersand had a name but it is likely English school children reciting the alphabet would describe the ampersand concluding at the end of the alphabet with the Latin phrase ‘and Per Se, and’ which translated means ‘and by itself, and’. The difficulty is pronouncing this latter phrase soon became truncated into the word ‘Ampersand’. There does not appear to be any formalised instruction to drop the ampersand from the recognised English alphabet, it is just something that fell out of more general usage during the 19th century. English is in itself, (per se), a rich, descriptive and flexible language which has never stopped evolving. 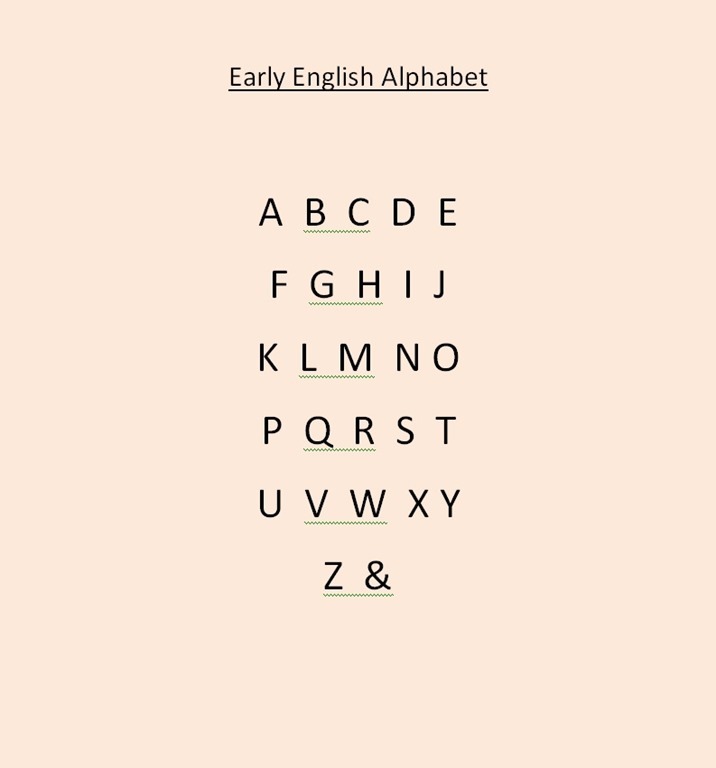 Many words which nowadays are considered English can have their origins traced back to many countries and time periods and which now have been embraced into the language. Other words like the ampersand example above have been adapted from other languages. Who knows in the fullness of time what other words that may not exist today but will one day be considered English, or what they will mean?